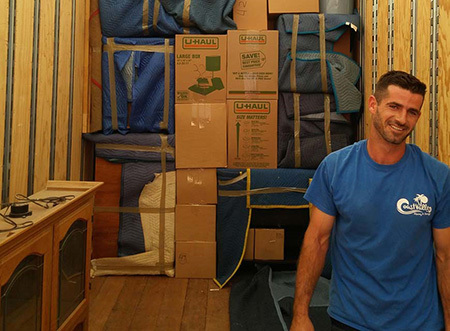 Plan Ahead for a Stress-free Long Distance Move! Regardless of whether you are moving to a neighboring state or clear across the country, planning a long distance move can seem like an overwhelming process. Not only do you have to deal with packing up your household belongings, you also need to make sure that the logistics of your move are being handled professionally. Take Your Time – It may seem tedious, but by taking your time to carefully pack and label your belongings in high-quality boxes and crates, you will help protect your items from damage and make unpacking a much easier process! Be Proactive – Moving a long distance isn’t always easy, but you can help take the stress out of your relocation by getting ahold of doctors, schools, and utility companies ahead of time to ensure that all your important information is transferred. Schedule Early! – Moving companies book up fast during certain times of the year, and it is important to call your moving provider as soon as you have a date in mind to avoid delays in the process. As the first choice in San Clemente long distance movers, Coast Valley is dedicated to making your relocation a stress-free experience. If you find yourself overwhelmed by the moving process, not to worry! Our expert team is well-versed in efficiently executing long-distance moves with superior customer service and care. As an interstate agent for Wheaton World Wide Moving, our San Clemente long distance moving company has the equipment and expertise needed to handle any size relocation. More than just the premier choice for long distance residential movers, Coast Valley also offers unsurpassed local an intrastate relocation services for southern California households and professional commercial moving for area businesses! From free in-home estimates to personalized move coordination, you can rely on the expert care of our San Clemente long distance household movers! To find out more about our services, just give us a call or fill out our online form today!